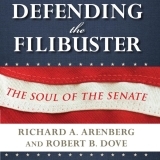 Recent legislative battles have given rise to widespread demands for the abolition or reform of the filibuster in the US Senate. In Defending the Filibuster, a veteran Senate aide and a former Senate Parliamentarian write that the filibuster is fundamental to the character of the Senate. They contend that it protects the rights of the political minority, assures stability and deliberation in government, and helps to preserve constitutional principles.